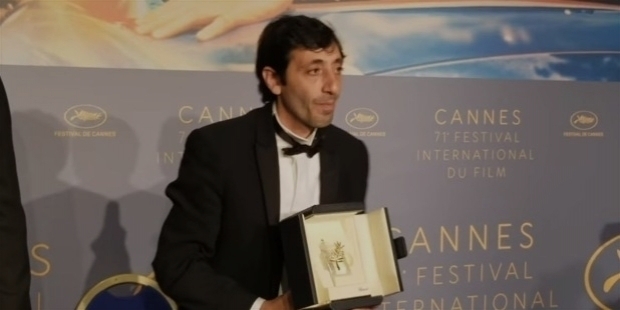 From a caretaker to winning the Prix d'interpretation masculine at the 2018 Cannes Film Festival, Marcello Fonte’s journey of success is indeed inspiring in every sense. 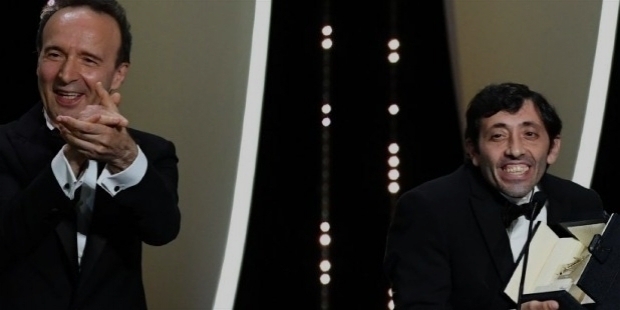 And, the icing of his cake was receiving the prestigious award from the screen legend Roberto Benigni, Academy Award winner of ‘Life is Beautiful’, at the 2018 Cannes Film Festival. It is indeed interesting to know, how Marcello Fonte became an actor. He revealed his amazing journey, “I would go see the wardrobe people and say ‘the director sent me’, and they would end up finding me a costume.” Imagine, a small time caretaker lands as an extra in renowned American director Martin Scorse’s ‘Gangs of New York’, alongside famous actors Leonardo di Caprio and Daniel Day Lewis!!! ‘Dogman’s director Matteo Garrone recalls laughing, “Marcello heard Scorsese and thought he must be a Scotsman.” Many will be amazed to know that Marcello had never heard of Martin Scorsese before, but his destiny made him to act in his epic movie ‘Gangs of New York’. 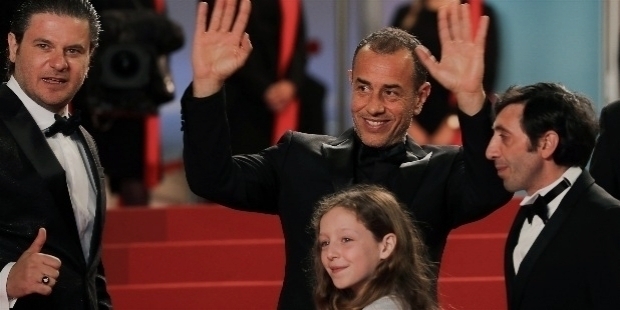 The Grand Prix Italian director Matteo Garrone once visited a social centre to spot talent, among former prisoners auditioning for parts in a play. He recalls, “Marcello was the caretaker. He was sleeping in the centre. He was listening in on the auditions. One day, when one of the ex-prisoners fell ill and died, Marcello took his place.” It was, perhaps one of the destined accidents to connect Matteo with Marcello. “Marcello Fonte is the modern-day Buster Keaton, almost a silent movie actor,” revealed Garrone about his actor. Marcello’s features reminded of a bygone Italy, with the big smile and sunken cheeks. 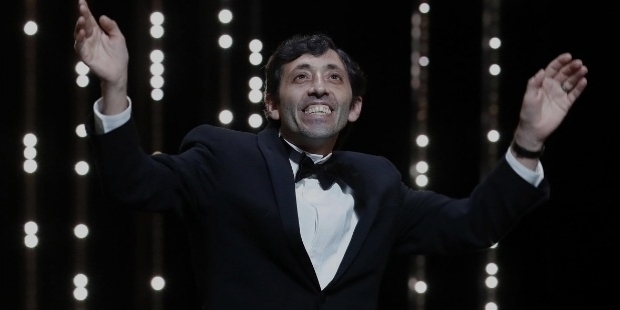 Matteo Garrone’s ‘Dogman’ is based on a true story of the late 1980s, in Rome. The lead protagonist is harmless and cuddly character. Short and stooped, with an oblong head and droopy-lidded big eyes, which look out at the world with pleading innocence, Marcello is like Michael Corleone reincarnated, as a depressed puppy. Even Fredo could stomp the guy. Fonte plays the character named Marcello, who owns and runs a dog-grooming parlour, along a ratty stretch of beach town in Southern Italy. The desolate area makes one wonder, how anyone could sustain a business there. In fact, there lies a little community, mostly of the men, who work at the local trattoria and the cash-for-gold pawn shop, next to Marcello’s canine parlour ‘Dogman’. Everyone hangs out, but the ambience has hostility in the air. There are fights, little simmering vendettas, and a hint of bottom-feeder Mob influence. Marcello seems out of the place or maybe the contemporary version of a De Sica everyman. Marcello is divorced and lives with a nine-year-young daughter. He is a devoted father and they often enjoy scuba diving. Marcello looks like someone, whose saintly-servile wallflower decency might stand in for all of us. Simone, a cocaine-snorting local heavy and Marcello’s friend bully and betray him relentlessly. Fonte gives a sterling performance as a saintly scamp, who blooms into a butterfly of vengeance to win the ‘Best Actor’ award. For ‘Dogman’ Fonte spent three months in a dog parlour to learn, how to gussy up pit bulls and Chihuahuas. Before acting as the lead character in ‘Dogman’, Marcello Fonte had played just two minor parts – as an extra in Martin Scorsese's ‘Gangs of New York’ in 2002 and played a small role in Alice Rohrwacher's ‘Corpo Celeste’ in 2011. Marcello Fonte grew up in Archi, in the suburbs of Reggio Calabria. At the age of 10, he learned to play the snare in the country's band. In the year 1999, he moved to Rome. His brother was working as a set designer. He worked as a caretaker before he was discovered by Matteo Garrone. In 2015, Marcello wrote and co-directed with Paolo Tripodi ‘Donkey Flies’. Marcello played the part of Asino vola. The film was presented at the Locarno Festival, in the Piazza Grande section. In 2016, Marcello acted in the television series ‘The Mafia Kills only in summer’, directed by Luca Ribuoli. He was seen in Leonardo Di Costanzo’s ‘The Intruder’ in 2017. This year, Fonte was seen in ‘Lo Sono Tempesta’ by Daniele Luchetti.